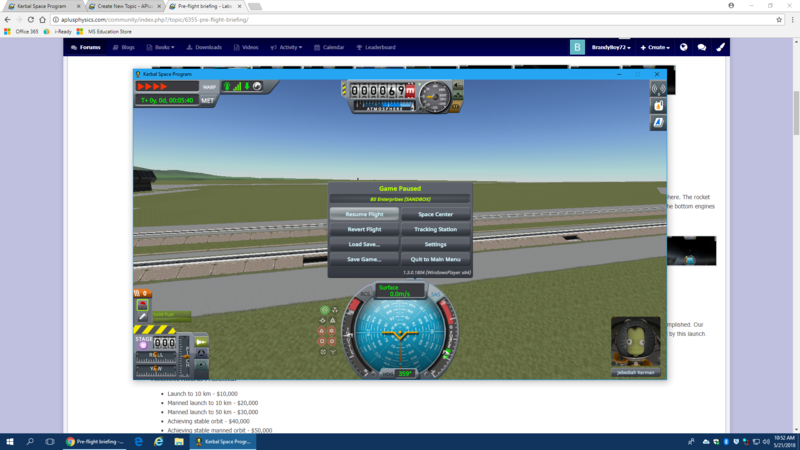 Enough rocket power and fuel with a light weight body to get into stable orbit. 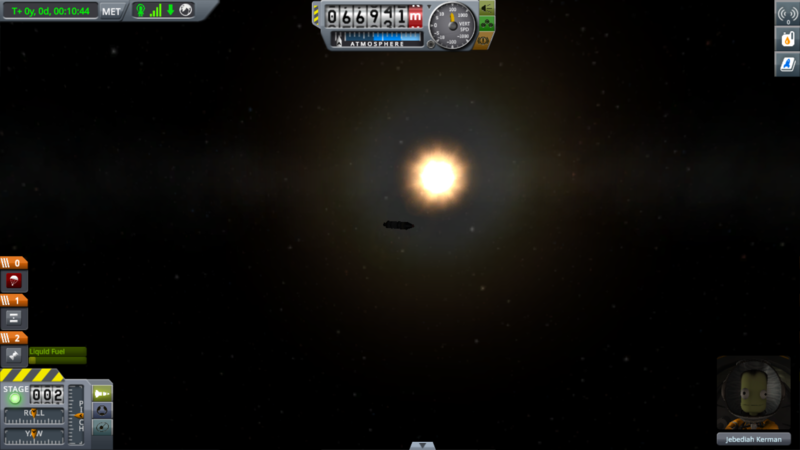 Reach manned orbit at least 70km above Kerbin. Use initial boosters to get into atmosphere and then use remaining fuel after decoupling to lose weight and get into orbit. 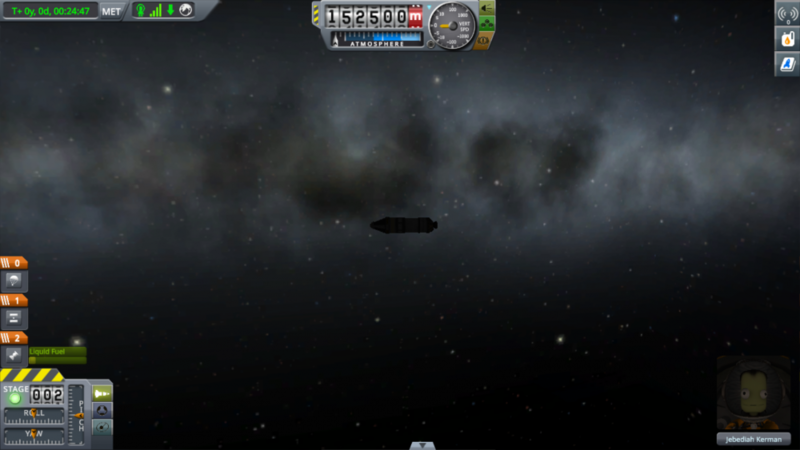 Launched with solid fuel to get into atmosphere and then decouple to lose weight. We flew at an angle sufficient for getting into orbit, the rocket was flown to 70km and then thrusters were turned off until the apoasis was reached, to attain max height. Thrusters were turned back on and orbit was achieved soon after. 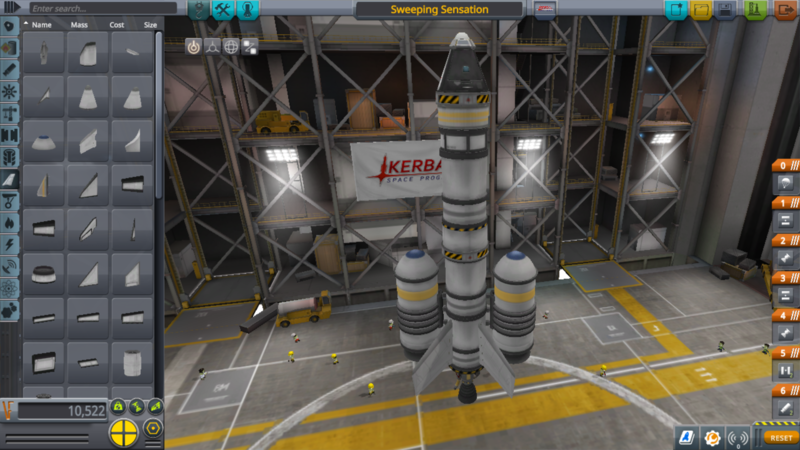 Need a lot of fuel to get into orbit, would need more if anything was wanted beyond that.